Whether it’s a hybrid, plug-in hybrid or all-electric, the demand for electric drive vehicles will continue to climb as prices drop and consumers look for ways to save money at the pump. Currently more than 3 percent of new vehicle sales, electric vehicles sales could to grow to nearly 7 percent -- or 6.6 million per year -- worldwide by 2020, according to a report by Navigant Research. It’s hard to pinpoint the invention of the electric car to one inventor or country. Instead it was a series of breakthroughs -- from the battery to the electric motor -- in the 1800s that led to the first electric vehicle on the road. In the early part of the century, innovators in Hungary, the Netherlands and the United States -- including a blacksmith from Vermont -- began toying with the concept of a battery-powered vehicle and created some of the first small-scale electric cars. And while Robert Anderson, a British inventor, developed the first crude electric carriage around this same time, it wasn’t until the second half of the 19th century that French and English inventors built some of the first practical electric cars. 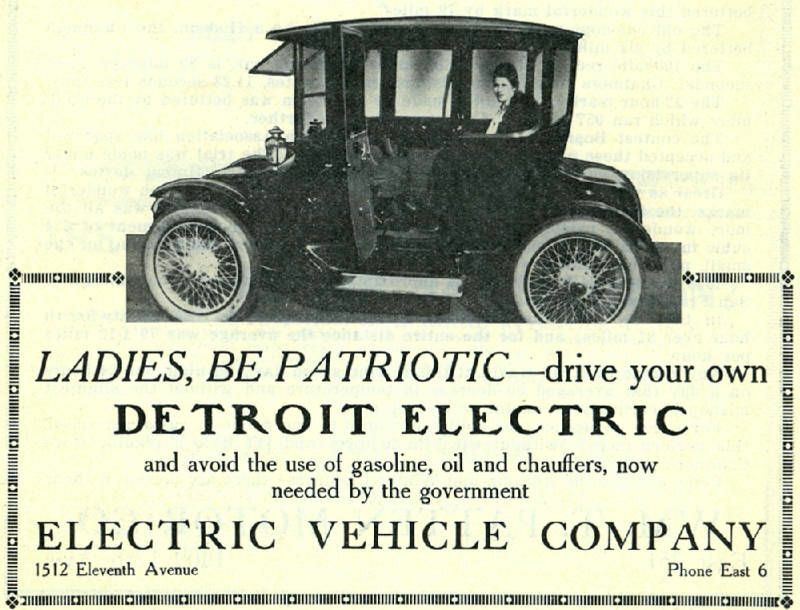 To understand the popularity of electric vehicles circa 1900, it is also important to understand the development of the personal vehicle and the other options available. At the turn of the 20th century, the horse was still the primary mode of transportation. But as Americans became more prosperous, they turned to the newly invented motor vehicle -- available in steam, gasoline or electric versions -- to get around. Steam was a tried and true energy source, having proved reliable for powering factories and trains. Some of the first self-propelled vehicles in the late 1700s relied on steam; yet it took until the 1870s for the technology to take hold in cars. Part of this is because steam wasn’t very practical for personal vehicles. Steam vehicles required long startup times -- sometimes up to 45 minutes in the cold -- and would need to be refilled with water, limiting their range. As electric vehicles came onto the market, so did a new type of vehicle -- the gasoline-powered car -- thanks to improvements to the internal combustion engine in the 1800s. While gasoline cars had promise, they weren’t without their faults. They required a lot of manual effort to drive -- changing gears was no easy task and they needed to be started with a hand crank, making them difficult for some to operate. They were also noisy, and their exhaust was unpleasant. Electric cars didn’t have any of the issues associated with steam or gasoline. They were quiet, easy to drive and didn’t emit a smelly pollutant like the other cars of the time. Electric cars quickly became popular with urban residents -- especially women. They were perfect for short trips around the city, and poor road conditions outside cities meant few cars of any type could venture farther. As more people gained access to electricity in the 1910s, it became easier to charge electric cars, adding to their popularity with all walks of life (including some of the “best known and prominent makers of gasoline cars” as a 1911 New York Times article pointed out). Many innovators at the time took note of the electric vehicle’s high demand, exploring ways to improve the technology. For example, Ferdinand Porsche, founder of the sports car company by the same name, developed an electric car called the P1 in 1898. Around the same time, he created the world’s first hybrid electric car -- a vehicle that is powered by electricity and a gas engine. Thomas Edison, one of the world’s most prolific inventors, thought electric vehicles were the superior technology and worked to build a better electric vehicle battery. Even Henry Ford, who was friends with Edison, partnered with Edison to explore options for a low-cost electric car in 1914, according to Wired. Fast forward to the late 1960s and early 1970s. Soaring oil prices and gasoline shortages -- peaking with the 1973 Arab Oil Embargo -- created a growing interest in lowering the U.S.’s dependence on foreign oil and finding homegrown sources of fuel. Congress took note and passed the Electric and Hybrid Vehicle Research, Development, and Demonstration Act of 1976, authorizing the Energy Department to support research and development in electric and hybrid vehicles. Yet, the vehicles developed and produced in the 1970s still suffered from drawbacks compared to gasoline-powered cars. 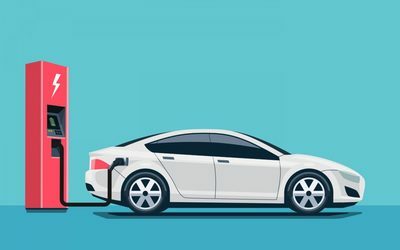 Electric vehicles during this time had limited performance -- usually topping at speeds of 45 miles per hour -- and their typical range was limited to 40 miles before needing to be recharged. Fast forward again -- this time to the 1990s. In the 20 years since the long gas lines of the 1970s, interest in electric vehicles had mostly died down. But new federal and state regulations begin to change things. The passage of the 1990 Clean Air Act Amendment and the 1992 Energy Policy Act -- plus new transportation emissions regulations issued by the California Air Resources Board -- helped create a renewed interest in electric vehicles in the U.S.
With a booming economy, a growing middle class and low gas prices in the late 1990s, many consumers didn’t worry about fuel-efficient vehicles. Even though there wasn’t much public attention to electric vehicles at this time, behind the scenes, scientists and engineers -- supported by the Energy Department -- were working to improve electric vehicle technology, including batteries. The first turning point many have suggested was the introduction of the Toyota Prius. Released in Japan in 1997, the Prius became the world’s first mass-produced hybrid electric vehicle. In 2000, the Prius was released worldwide, and it became an instant success with celebrities, helping to raise the profile of the car. To make the Prius a reality, Toyota used a nickel metal hydride battery -- a technology that was supported by the Energy Department’s research. Since then, rising gasoline prices and growing concern about carbon pollution have helped make the Prius the best-selling hybrid worldwide during the past decade. The other event that helped reshape electric vehicles was the announcement in 2006 that a small Silicon Valley startup, Tesla Motors, would start producing a luxury electric sports car that could go more than 200 miles on a single charge. In 2010, Tesla received at $465 million loan from the Department of Energy’s Loan Programs Office -- a loan that Tesla repaid a full nine years early -- to establish a manufacturing facility in California. In the short time since then, Tesla has won wide acclaim for its cars and has become the largest auto industry employer in California. 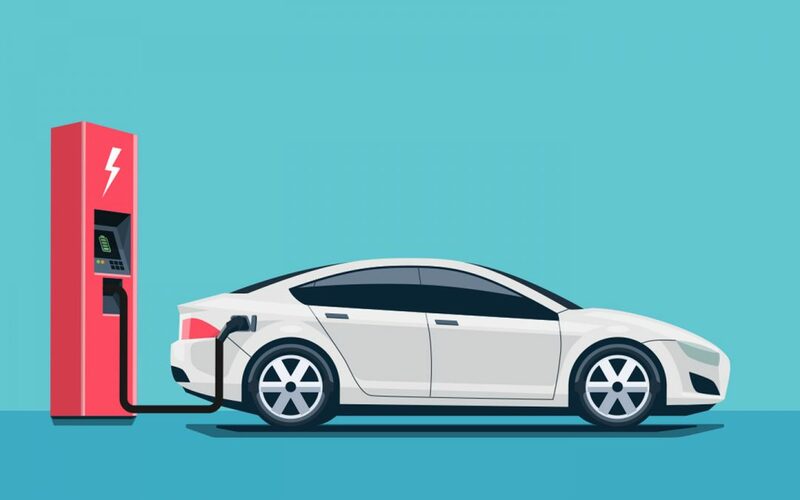 Over the next few years, other automakers began rolling out electric vehicles in the U.S.; yet, consumers were still faced with one of the early problems of the electric vehicle -- where to charge their vehicles on the go. Through the Recovery Act, the Energy Department invested more than $115 million to help build a nation-wide charging infrastructure, installing more than 18,000 residential, commercial and public chargers across the country. Automakers and other private businesses also installed their own chargers at key locations in the U.S., bringing today’s total of public electric vehicle chargers to more than 8,000 different locations with more than 20,000 charging outlets. At the same time, new battery technology -- supported by the Energy Department’s Vehicle Technologies Office -- began hitting the market, helping to improve a plug-in electric vehicle’s range. In addition to the battery technology in nearly all of the first generation hybrids, the Department’s research also helped develop the lithium-ion battery technology used in the Volt. More recently, the Department’s investment in battery research and development has helped cut electric vehicle battery costs by 50 percent in the last four years, while simultaneously improving the vehicle batteries' performance (meaning their power, energy and durability). This in turn has helped lower the costs of electric vehicles, making them more affordable for consumers. Consumers now have more choices than ever when it comes to buying an electric vehicle. Today, there are 23 plug-in electric and 36 hybrid models available in a variety of sizes -- from the two-passenger Smart ED to the midsized Ford C-Max Energi to the BMW i3 luxury SUV. As gasoline prices continue to rise and the prices on electric vehicles continue to drop, electric vehicles are gaining in popularity -- with more than 234,000 plug-in electric vehicles and 3.3 million hybrids on the road in the U.S. today. To help reach these emissions savings, in 2012 President Obama launched the EV Everywhere Grand Challenge -- an Energy Department initiative that brings together America’s best and brightest scientists, engineers and businesses to make plug-in electric vehicles more as affordable as today’s gasoline-powered vehicles by 2022. On the battery front, the Department’s Joint Center for Energy Storage Research at Argonne National Laboratory is working to overcome the biggest scientific and technical barriers that prevent large-scale improvements of batteries. A hybrid electric vehicle (or HEV for short) is a vehicle without the capacity to plug in but has an electric drive system and battery. It's driving energy comes only from liquid fuel. Learn about the history of the hybrid -- from the world's first one to the world's best selling one.